Your local Tencarva location offers high quality repair / rebowling capability for your vertical turbine pumps. They’re experienced with pumps of all manufacturers including Goulds, Aurora, Byron-Jackson, Floway, A-C, Ingersoll-Rand, Johnston and Peerless among a range of others. Experienced Tencarva technicians are equipped with the latest technology and training. They provide full factory engineering support for failure analysis, material upgrade and performance enhancements. Tencarva provides a thorough inspection and as found report. A complete workscope for all required repairs with a firm price is included. We’re capable of handling all critical work such as non-destructive testing, welding and machining. Vertical Turbine Pump Repair – We welcome your inspection of our facility and processes. 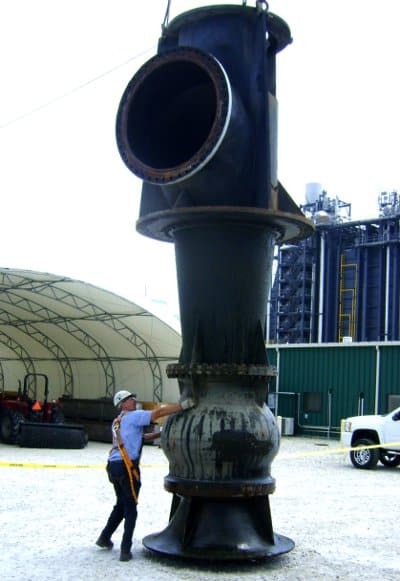 Typical Vertical Turbine – Pump Repair Procedure Disassembled pumps are inspected for unusual wear. New discharge heads can be provided to address vibration problems. Complete head analysis can be accomplished if required and tested at our facility. All final checks are made prior to shipment to insure product meets customer requirements. Also, all units are tagged for tracking maintenance history and failure analysis. Digital photography can be used to capture specific damage for customer inspection. Component parts are thoroughly cleaned. Precise measurements are taken on all wear components and noted on the inspection form. Non-destructive testing is performed on all parts. Parts are replaced with same or upgraded materials per customer input. Impellers are dynamically balanced to our customer’s specification. The pump is carefully reassembled. Check all runouts to insure unit meets all requirements. Documentation is completed for disassembly, parts replacement, modifications, reassembly and compiled in a REPAIR REPORT. Complete maintenance records are maintained in our totally integrated Tencarva System for future reference and tracking of Mean Time Between Failure. Final inspection of all components is performed to insure products meet all dimensional requirements. Rebowling Service … New Life for Old Pumps Tencarva can easily restore your vertical turbine pump’s original performance (and in many instances, improve it) by rebowling. 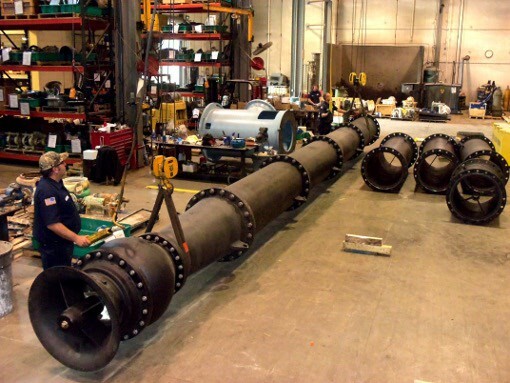 Complete new liquid ends match all makes of vertical turbine pumps from 6″ to 120″ … regardless of manufacture. 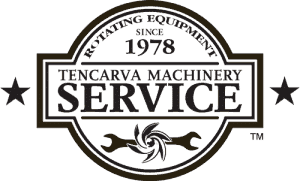 Once the mechanical and hydraulic requirements are determined, a complete replacement bowl assembly can be shipped for on-site adaptation and installation or, if preferred, easily accomplished at the nearest Tencarva center. Our Tencarva centers are fully equipped to do whatever it takes to rebowl your pump in minimal time. They can also perform any work on the pump as required. Let Tencarva show you how easily and fast your old pump can enjoy new life. Testing capabilities cover flows up to 300,000 GPM, motors up to 3,500 HP, and voltage up to 4,160 Volts. ITT / Goulds Facilities are equipped with the latest in transducers and test equipment. Customers are particularly impressed with our test systems which allow for quick setup of instrumentation and testing. Review bearing spacing to assure latest technology is utilized. Adapt latest bowl / impeller design to improve efficiency, flow and / or discharge pressure. Provide finite element analysis of complete unit to eliminate resonance problems. Review metallurgical properties of unit versus pumpage to insure maximum product life. Convert from packing to mechanical seal design. Incorporate various external bearing / wear ring flush arrangements to improve service life.